The Country Cruisers Car Cruise is coming up next Saturday, August 12th. 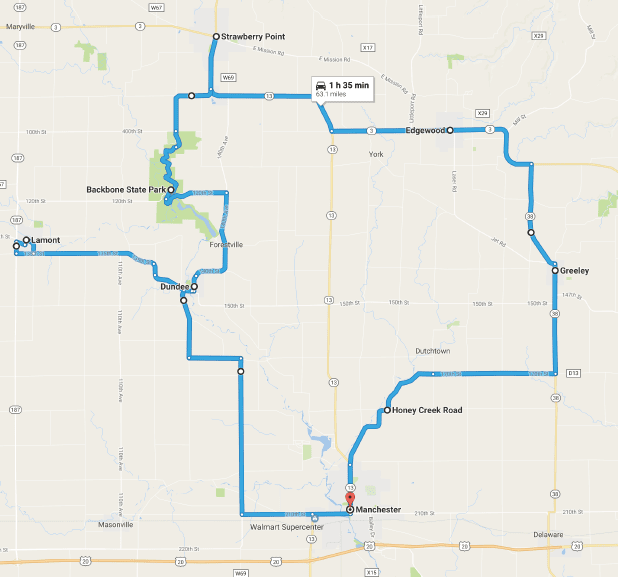 In honor of the Cruisers’ 25th anniversary, the cruise will be taking the original route that started it all back in 1992… traveling through the northern half of Delaware County. 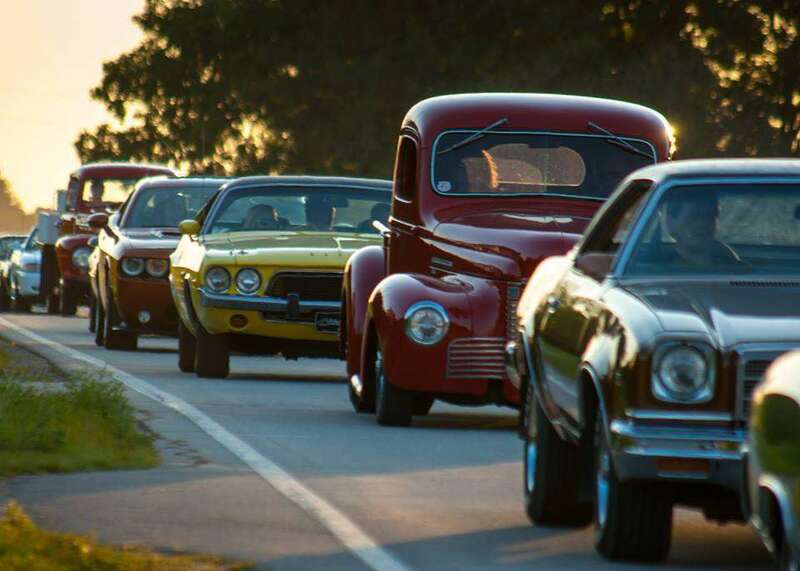 Hundreds of cars participate in the cruise every year and they love seeing people along the route, watching and waving as they drive by. Dennis Wiedenman says the cruise will leave Manchester at 5 pm. From Strawberry Point, the cars will head to Backbone State Park – a favorite among many cruisers. The Bacon-N-Hops Festival will welcome the cruisers back to Manchester again this year. You can find a written version of the cruise route by clicking on http://country-cruisers.net/cruiseroute.html or check out the map below!